Bad start for Redhawks causes Hawkeye to throw his hands up in disbelief! 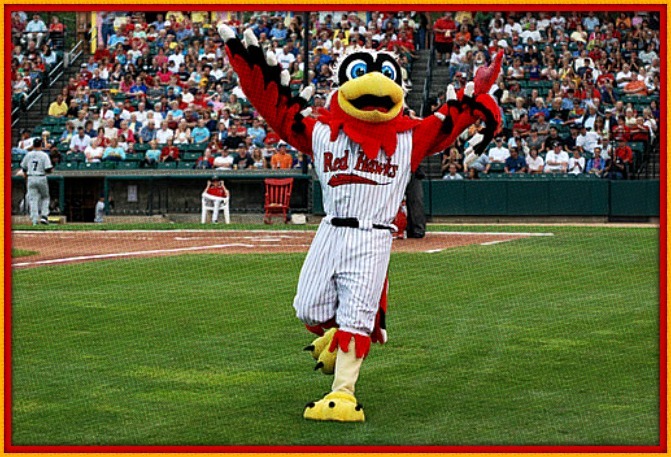 Fargo, ND – With the Redhawks baseball team off to a rough start to their season, players and fans are now simply hoping to eventually win a game. Hawkeye, the Redhawk’s award-winning mascot, is trying to stay optimistic amongst growing pessimism. Beer sales at the games have actually increased during the team’s winless slump as fans try to dull the pain of too many errors made and not enough runs scored.